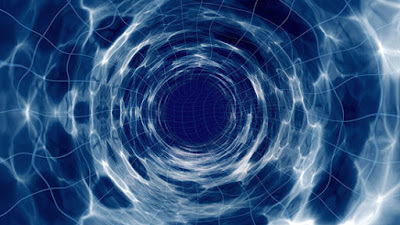 Looks like time travel by humans will remain a distant dream. Scientists based in Scotland have discovered the existence of a pear-shaped nucleus, which not only violates some laws in physics, but also suggests that time travel is not possible. Also, the nuclei of some atoms are not symmetrical. Up until now it was believed that time travel was possible but Scottish researchers have now turned the idea on its head. First observed by researchers from CERN in the isotope Radium-224 in 2013, the pear-shaped, asymmetrical nuclei is also present in the isotope Barium-144. This recent confirmation shows that it is possible to have a nuclei that has more mass on one side than the other. “This violates the theory of mirror symmetry and relates to the violation shown in the distribution of matter and antimatter in our Universe,” said Marcus Scheck of University of the West of Scotland, one of the authors of the study. The researchers said that until recently, there were three shapes of nuclei — spherical, discus, and rugby ball. The shapes are fashioned by the distribution of electrical charge within a nucleus. They are determined by the particular combinations of protons and neutrons in a particular type of atom, whether it's a hydrogen atom, a zinc atom or a complex isotope created in a lab. They further explained that the common factor across all three shapes is their symmetry and this joins nicely with a theory in a particle, which is referred to as CP-Symmetry. This is the amalgamation of two symmetries that are thought to exist in the Universe. They are the P-Symmetry and C-Symmetry. This uneven distribution of mass and charge in the nuclei causes Barium-144’s nucleus to point in a certain direction in space-time. The team suggests that this could explain why time seems to only go forward and not backward, even if the laws of physics are undetermined on the outcome. “We’ve found these nuclei literally point towards a direction in space. This relates to a direction in time, proving there’s a well-defined direction in time and we will always travel from past to present,” Marcus told BBC News. The experiment will now be repeated by a team led by Marcus at the Isotope Separator On Line Detector (ISOLDE) facility at CERN in Switzerland. As ISOLDE can generate Barium-144 nuclei in huge amounts, it will be helpful in discerning whether the nuclei were even more pear shaped than had been expected by the initial measurements. In the end, the discovery could be yet another indication that the universe might not be as symmetrical as the Standard Model of Physics requires it to be, which could propel us to a new era of theoretical physics.